In a city forum organized by RTHK months ago, I was on the panel along with Jimmy Lai Chee-ying, the publisher of Apple Daily, and others. I raised the point that very often our news reports are not just news reports, because reporters take sides and prefer to write stories that fit their narratives. I argued that opinionated views should be reserved to commentaries. Jimmy Lai asked which paper in Hong Kong worked that way. 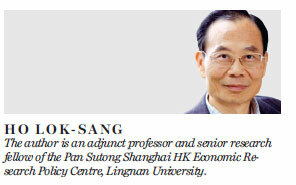 His question implied that Hong Kong newspapers rarely separate commentaries from news reports. I had thought news reports should just be an accurate record of what actually happened and what people said, and that this was the first lesson that students of journalism learn. Yet Lai, a newspaper publisher, told me this is rarely the case in Hong Kong. Little wonder the credibility of newspapers has been in decline. I realize that newspaper publishers are human and they do have their likes and dislikes. It is also understandable that investors in newspapers may want to publish commentaries that better reflect their positions on social and political issues. Perhaps asking them to publish opposite views along with their own views is asking too much. But they need to be reminded that whichever view they take, they should still have the long-term interests of Hong Kong in mind. Taking a stand on an issue is not a problem, criticizing the government is not a problem, but facts have to be correct and distorting other people's words to fit one's storyline will always be unethical. Arguments, moreover, do not have to be antagonistic or combative. There is perhaps little we can do about the degeneration of posts on social media into personal attacks and even the dehumanization of those that netizens choose to hate. But newspapers, radio and TV are supposed to be run by professional people, and they must maintain their standards. Commenting on the appointment of Leung Ka-wing, a veteran journalist, to the new directorship of RTHK, commentator Perry Lam expressed the wish that RTHK maintain its professionalism. RTHK must not allow unprofessional practices to prevail in the name of editorial independence. By the same token, the management of all media, especially those that hold a license to take up valuable and scarce radio frequency spectrums, must be prepared to hold the editors responsible for unprofessional broadcasting or writings. The public's strong desire for the editorial independence of our media is not a shield to protect unprofessional practices. Perry Lam maintained that truthfulness, accuracy, objectivity, impartiality, fairness, and public accountability must be strictly adhered to in news reporting and moderating in-house or phone-in discussions. Going overboard to pursue editorial independence and forgetting good taste and common sense could lead to unhappy incidents like the Jan 7, 2015 massacre in France, in which 12 people were killed at the offices of the satirical weekly magazine Charlie Hebdo. Using violence against any journalist can never, of course, be justified on any grounds. But enraging other people's emotions with language, cartoons, songs or movies damages the fabric of society and must not be condoned. After the "Occupy Central" protests, Hong Kong has become increasingly divided. People in different camps have become increasingly intolerant of one another. Responsible journalism can help heal the wounds left by the "Occupy" movement. Adhering to truthfulness and accuracy means that commentators should not put words in others' mouths. Many people, me included, have had the experience of being interviewed by reporters, and then discovering that the time spent was entirely wasted. The central message that was intended by the interviewees gave way to misleading statements taken out of context or even misquoted statements that backed the narrative the reporters had in mind. Adhering to objectivity and impartiality means reporters should not take sides. Even though reporters as members of society certainly may take certain stands, they must not let these stands color any news report, because news has to be factual and the whole picture should be presented. Deliberately leaving out facts that might raise questions about the reporters' position would be unethical and partial. Being fair should not be difficult: It only requires the news reporter to put himself in the shoes of others. If reporters do so, they would understand that everyone needs privacy and would not behave like bugs going after their victims. Reporters as employees tend to be accountable to their bosses, but they must in the final analysis be accountable to the public. The greater interest of society must be safeguarded. These days, with more and more people hooked to Internet social media, there is a tendency for netizens to share sensational stories, thoughtless but provocative commentaries, and even profanities. On the other hand, more serious, cool-headed, analytical commentaries are much less often shared. Because of this, it is even more important for journalists to strictly adhere to professional practices. They need to have a sense of mission, to serve Hong Kong and to help Hong Kong build social cohesion and peace.